Building on the success of the inaugural UKOUG PeopleSoft Conference & Exhibition in 2008, this Conference, presented by UKOUG and GPUG, will provide a forum for the presentation and exchange of ideas and practical experiences within the areas of PeopleSoft Financials, HCM/HR and Technology. The multi-stream agenda will feature keynote presentations, technical and non-technical sessions, roundtables, panel discussions and more. 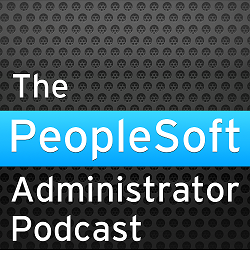 If you are interested in sharing your experience of using PeopleSoft technology and applications, here is your chance as the call for papers is now open. Closing date for submissions: Friday 27th February. The review panel, comprised of PeopleSoft community members, will evaluate all abstracts submitted by the closing date. The authors of accepted abstracts will receive confirmation at the beginning of March. Do You Need More Temporary Table Instances?